Lufkin Radio Station Owner in Jail and Probation Revoked, LUFKIN, April 16, 2011 - A Lufkin radio stations owner is back in jail on a charge of violating the terms of his probation on a felony driving while intoxicated conviction. The Polk County Sheriff's Office issued a warrant for the arrest of Stephen Walter Yates, 52, on Tuesday. Yates was convicted of his third DWI in 2007 in Judge Elizabeth Coker's 258th District Court and sentenced to 10 years of probation. According to Lufkin jail records, Yates was arrested on Thursday (April 14, 2011). Yates is currently being held in the Angelina County Jail without bond and is to be extradited to Polk County Jail. One of the terms of Yates' probation is that he cannot drive any vehicle without a berathaylzer installed. A vehicle breathalyzer is a breath analysis mechanism which makes a vehicle unusable if alcohol is detected on his breath. Further, Yates is responsible for installation of the breathalyzer and all costs associated with having a breathalyzer, and he must provide proof to his probation officer that the breathalyzer is installed on any vehicle that he drives. 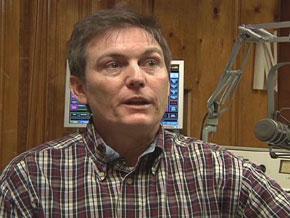 Yates owns Yates Broadcasting, which transmits five radio stations over the air from its downtown Lufkin location. According to Polk County District Clerk records, a motion was filed to revoke Yates' probation because he was driving a vehicle which did not have a breathalyzer installed. Lt. Charlie Graham said police learned of Yates' location on Thursday and learned he had a warrant out for his arrest so they arrested him at that location.